PLEASE NOTE: 1. If there is leather smell of unused and brand new product, the smell will disappear naturally in a few days air out. 3. Please confirm the dimensions according to our description instead of the photos and allow within 1"" differs due to manual measurement. Material: PU leather. Lightweight, durable and fashionable. Pockets: Bifold, 12 card slots, 1 zipper Compartment, 3 cash postion. Size: 3.94 x 7.88 inches(WxH). Designed to hold cash, cards and other little things,you can simply hold it on hand or put it in bag. 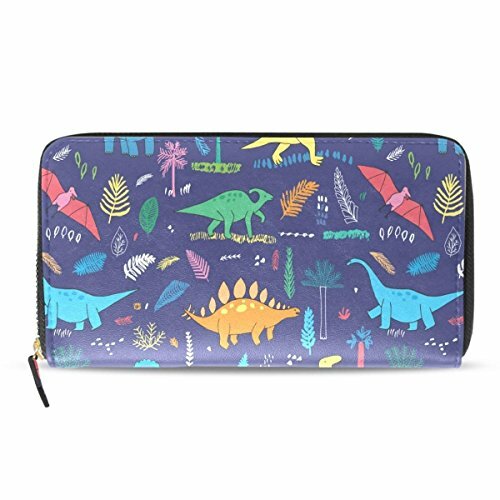 Large Capacity: Plenty of Room To Hold Credit Cards, Coins, Checkbook, Ticket, License, Receipts, Coupon, Smartphone, Insurance Cards, Debit Cards etc. Put it into your handbag, It is very elegant and suitable for many occasion like party, shopping, restaurant etc. If you have any questions about this product by HangWang, contact us by completing and submitting the form below. If you are looking for a specif part number, please include it with your message.